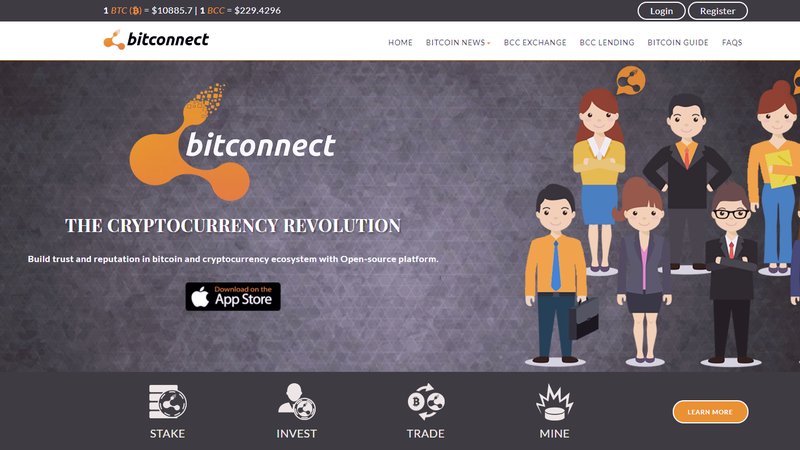 BitConnect, an anonymously-run cryptocurrency lending and exchange platform long suspected of being a well-marketed Ponzi scheme, abruptly ceased operations on Tuesday after receiving cease-and-desist orders from authorities in Texas and North Carolina. However, in a blog post, the company alleged that additional reasons were to blame, including “continuous bad press” that “created a lack of confidence in the platform” and “DDos attacks” that had “made the platform unstable and have created more panic in the community.” It also insisted that its token, BitConnect Coin (BCC), could be traded on other exchanges. According to TNW, BCC was worth $425 roughly 10 days ago but is now worth under $30 and continuing to slide. While the operators of the site have insisted future projects including the BitConnect X ICO will continue, this seems like a pretty clear case of something that already has a fork stuck in it. But hey, you never know—maybe those Kodak KashMiners might still pay off. Guy Who Ran Really, Really Huge Scam Warns ICOs Are the "Biggest Scam Ever"